Wrangler® Stretch Jeans are NOT for couch potatoes! 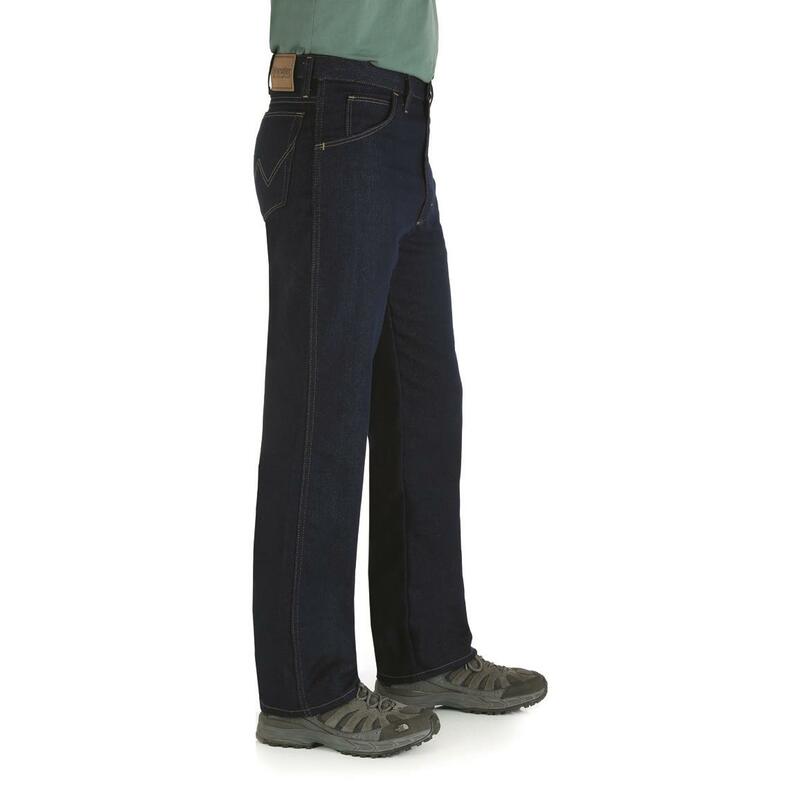 These are not jeans for sitting behind a desk. These are not jeans for window shopping with your wife. They are not jeans for sipping coffee or people watching. Cotton / polyester. Imported. Machine wash / dry. State Color and Size, as available in the Shopping Cart. If you work hard, and need a pair of Jeans that will do the same... get yours ONLINE now! 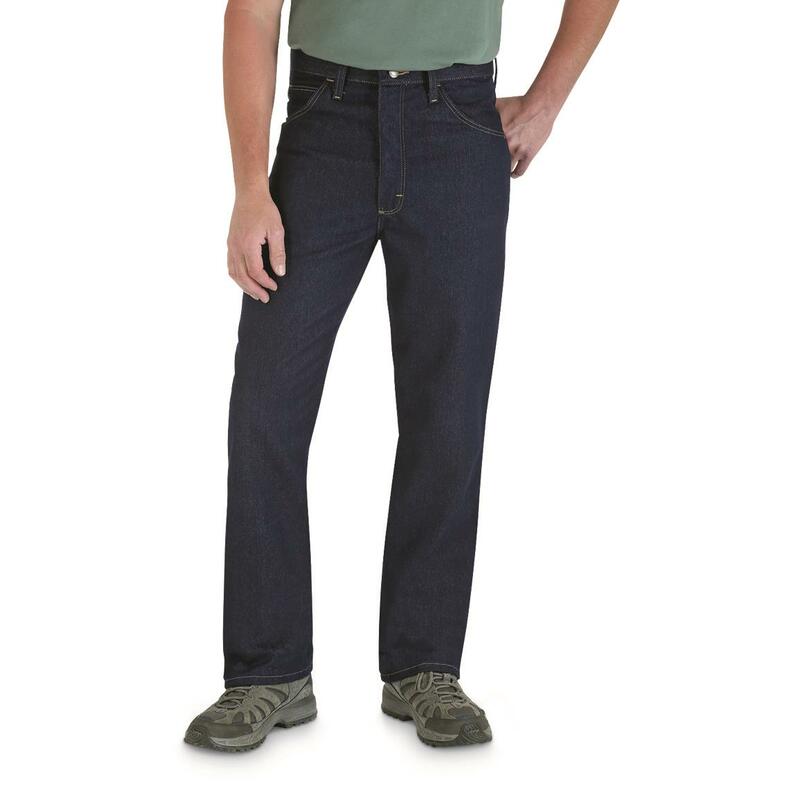 Please Note: These Jeans are Slim Fit, for a more relaxed fit, please order one waist size large. 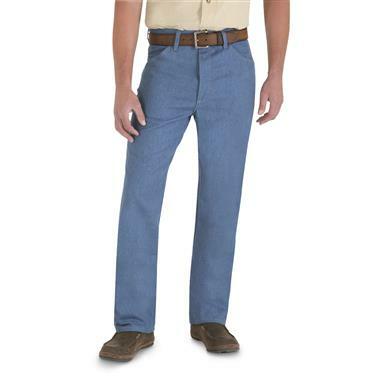 Wrangler Stretch Jeans is rated 3.6 out of 5 by 60. Rated 1 out of 5 by Jerry G from Cut Wrong I wear 38" waist Jeans now and they fit good - but I thought I would go to waist size 40" just to be sure. They would not even button closed. Not even close. I had to pay almost $14.00 in return shipping because someone in another country cut them wrong. If I have to be held responsible for the cost of return shipping for someone else's goof up - I will never order from this company again. Rated 1 out of 5 by Misterart from Wow, Size Not Even Close?? Pants were too small in the waist and I ordered on size larger and too long as well and not even close to 29" inseam; and could see no "stretch" in these as well, sorry! Rated 1 out of 5 by Hand from No! 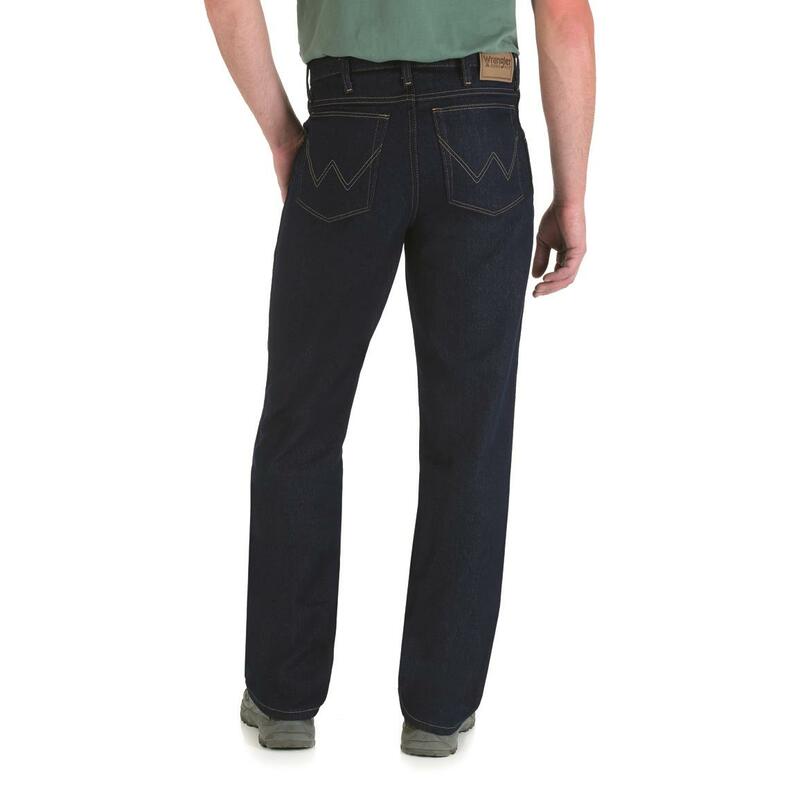 The Wranglers I received were less comfortable than a regular pair relaxed fit. As far as I can tell there is no stretch to them. I am donating the pair I got to local charity because I don't want the aggravation of returning them. What has happened to Wrangler quality control?